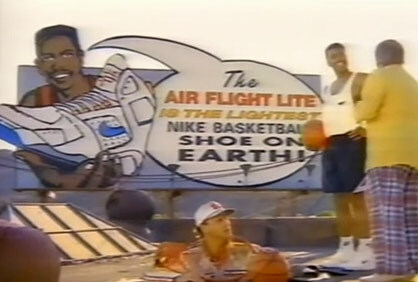 In 1990, Nike put out a few SuperDave commercials where he would introduce his latest dunking contraptions to NBA players. They had a very interesting list of “dunkers” they picked for these spots. Reggie Miller, Gerald Wilkins and Kenny Smith. Yes, The Jet from TNT”s Inside the NBA. Yes, he did have a commercial and yes it was before Clutch City championships.